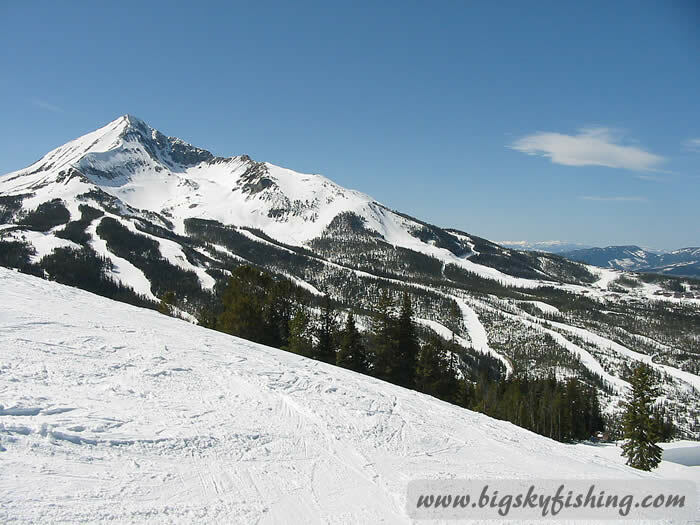 Big Sky Resort today is the premiere downhill skiing destination in Montana. People come from all over the United States to experience the skiing at Big Sky. And no small wonder – the downhill skiing is fantastic, the views are great and reaching Big Sky resort is simple compared to many other Montana ski areas. Located in South-Central Montana, Big Sky Resort is seven miles off Highway 191 which connects the Gallatin Valley to West Yellowstone. The nearest major town, Bozeman, lies to the north – about an hour drive away depending on the weather and road conditions. West Yellowstone is also nearby, lying just about an hour to the south on Highway 191. The ski area itself sits among the rugged Spanish Peaks. In addition to their beauty, the Spanish Peaks contain some of the highest peaks in Montana. The Spanish Peaks also boast some of the highest vertical rises in Montana when measured from valley floor to mountain peak. Big Sky’s location also provides another benefit—the ski area receives substantial snow during a normal year. Blessed by an average annual snowfall of more than four hundred inches, Big Sky receives more snow than any ski area in Montana. Big Sky is owned by Boyne Mountain Resorts. I bring this fact up to point out that Big Sky is a true “ski resort” in every way—with prices to match. 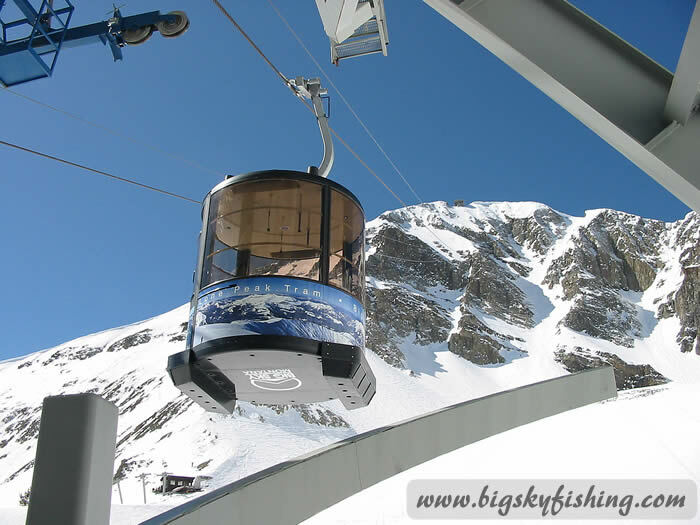 In many ways, Big Sky is quite similar to many of the well-known ski resorts found in Colorado. Being a true ski resort, sprawling housing developments surround the ski area – with thousands of condominiums, townhouses and large trophy homes dotting the landscape. Slope side lodging and entertainment is also abundant, allowing for a wide variety of activities once the lifts close. In short, unlike most other Montana ski areas, Big Sky resort is a true “destination ski area”, a place where you come to not only ski during the day but to also spend the night as well. Additionally, as a destination ski resort, Big Sky caters primarily to the out of state skier. Everything a traveling skier could ever need is located in Big Sky, from a fairly vibrant nightlife, luxurious hotels, ample shopping opportunities and gourmet dining. Despite all the development, glamour and glitz found in Big Sky (none of which is in short supply), the resort hasn’t overlooked the most important fundamental of all – which is, of course, the quality of the skiing. To put it simply, Big Sky has by far the widest variety of downhill skiing terrain in Montana – spread over more than 5700 acres. Moreover, Big Sky Resort provides ample skiing and snowboarding terrain for all levels of skiers. With such a abundance of terrain and trails to explore at Big Sky, become bored while skiing at Big Sky is an event that is unlikely to ever happen. So, enough said. Let’s get into exploring the downhill skiing and snowboarding opportunities available at Big Sky.